Personally I only add as friends people who are friends in the first place. Co-workers are co-workers. We talk a little, gossip a little. But unless I go out with them on outings, to have a drink, or chat more deeply about personal life issues, they will likely just remain as colleagues and not exactly a friend friend. Yes, I had. But later I unfriend her. Since I want to talk badly about her on facebook. Yeah I have colleagues adding me but I put some of them on restricted profile, meaning to say they wont see any statuses /photos i updated at all. Add your colleagues to a list and then restrict them off from many many things. 😀 Haha if that’s the last choice you have, that’s what facebook’s privacy is all about. 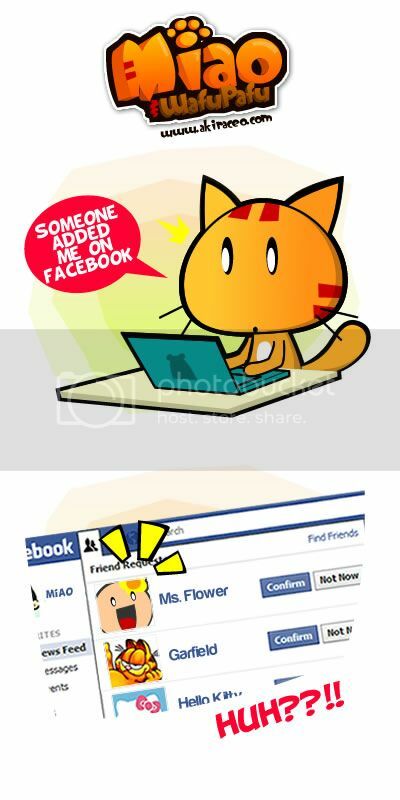 I had this situation before but i just pretend the friend request never appear. I add but I put them in a special group muahahahahaha. i will say NO. its difficult to badmouthing bout boss/colleagues when you had the urge to spill it out. hehehe. keep ur FB to ur close fren only. Different person when work and outside eh? p.s. Ms Flower looks irritating & noisy to me lol. I did add my colleagues and boss in FB, but I don’t worry because my colleagues knew me go out with my Deaf friends mostly. Hearing and Deaf are different. They don’t know Deaf culture, that’s why they curious and ask me how sign language. ooo.. Never add colleagues on FB unless u’re rly close 2 them. If post sumting bout office stuff on FB, next day sure kena tembak 1.
hahaha so many interesting comments and suggestions! haha.. no i dont add my colleagues on FB.. not even one.. Colleague is no problem… but BOSS… never in a lifetime! Anyway, just ignore her, speak up about your right. It’s your account anyway, you can do anything you want with it. Don’t let people bully you ok? We’re the fire and water in the office..
wa..i hv a feeling she is interested in u le…else why so san san fu fu find u on FB watever.lol..u hv a stalker !!! congratz ! Btw,is ur BD falls on January ? how did she know its you on FB??? you can still add her. but you can add her to a special group that you don’t want your statuses/post to be seen them. 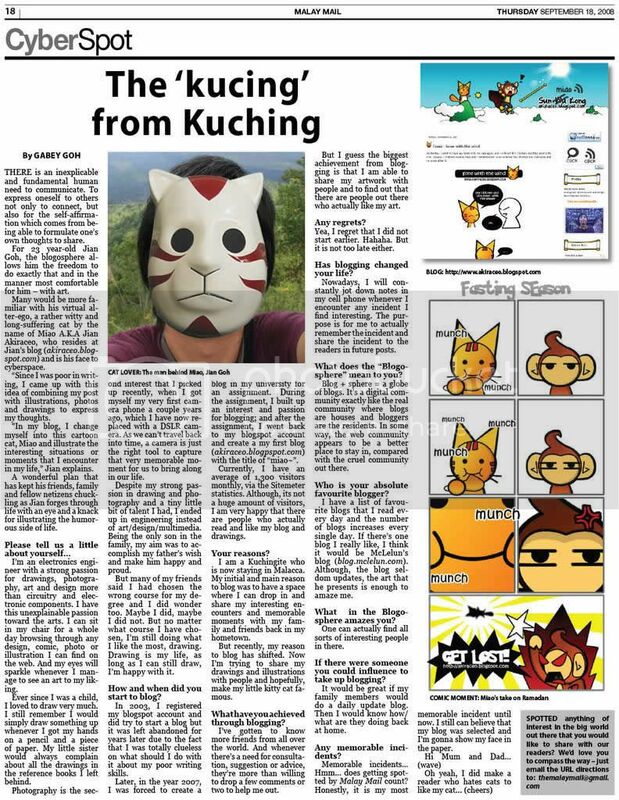 aiyoh… wat if she sees this post? then u ma die? I used to add them and now I deactivated my account because of the number of previously tagged pictures that I have to remove manually (I hope FB had option to mass untagged pictures). I also wanna mass untagged the photos!! 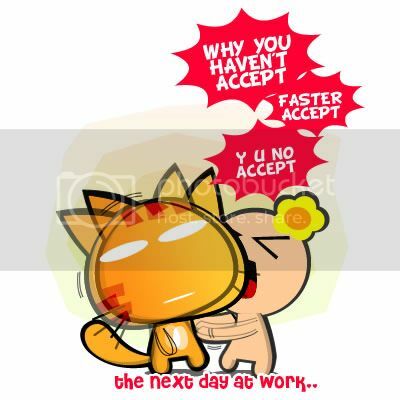 sometimes i will accept are friend request from my old colleague friend..and sometime i will reject because i even don’t not know them but they know…me who i am…so its up to you want to accept it or reject lah…. Yes!! Never add the boss! recently i just add my colleague to my fb but after read your post, i thinking whether i make the wrong decision to add them.. anyway i think is still ok for me to add but this is the different story for you as you don want people to find out your blog..
Oh. I got two facebook accounts. Problem solved! Like a BOSS! by the way, r u 9gager? let them burn in purgatory!